Embedded amongst our culture of Hard Work, Determination and Creativity, we pride ourselves on our constant success with clients. We give you the best chance to go on to thrive in your new found career after your life in the military. 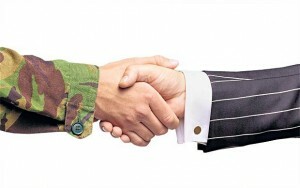 After the Military is a company who specialise in helping people understand the best ways to look for a job, the current job market and assist in getting people the ideal job for them after the military. Job Opportunity – Cadet Quartermaster, based in Reading.